Facebook's Instant Messaging App is a very popular app. What we do is use whitsapp calling but sometimes the situation is such that we are taking someone's interview and thus feel the need to record the call. We did a lot of research for how calls on WhatsApp can be recorded, but there is no easy way to record calls on WhatsApp. Today, we will provide you with information about how you can record WhatsApp calls on your Android and iPhone. 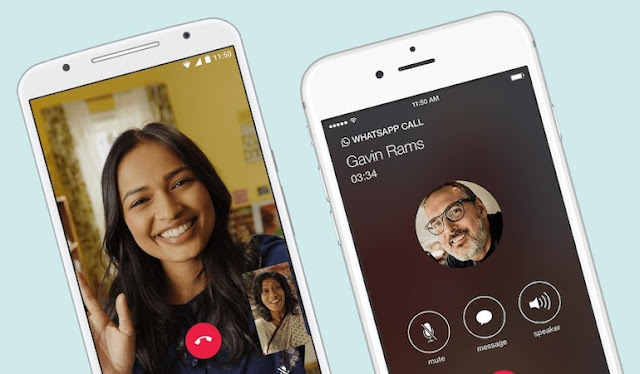 There are two options to record WhatsApp calls in Android and iPhone. But the problem with both options is that they work only with select devices. It is unethical and illegal to record calls without the permission of another person. In this case, you must give information about the call recording to the other person. Connect the Mac to the iPhone with the help of Lightning Cable. In the file section you will get the option of the new audio recording option. Click the arrow pointing down with the record button in Quicktime and select the iPhone option. Then click the record button in QuickTime. Then call your calls with WhatsAppSpace. Once you are connected, add the user icon. Then select the name of the person you want to talk to. After this it will start recording your call. After the call is finished, close the recording and save the file on the Mac. Whatsapp uses voice over internet protocol. Links from the App Store Play Store page include the names of the selected device that supports the VoIP recording feature in Google Spreadsheets. First download the Cube Call Recorder. After opening the app, go to WhatSapp. Then call the person you want to talk to. If you see the Cube Call widget during calling, it means it's working in your phone. If you have an error show then open the cube call recorder again. This time you have to go to the settings section of the app and here you have to click on Force VoIP in the voice call. Call a call from WhatsApp again and see whether the cube call recorder's widget is showing or not. If your phone shows an error again, then this does not mean it will not work on your phone. Android users also have another option and that is that you can route your device, but we will not advise you to do this step. That's because it has to compromise with the security of the phone, even if you want to route your phone even after it. After routing, use the SCR Screen Recorder app available on XDA. As we have told you before, it is not so easy to record a WhatsApp call. If any of the options mentioned above do not work for you, then you can talk the phone over the speaker and record the conversation with the help of a voice recorder on your other phone.